Jeekai & Partners is a leading private Chinese intellectual property law firm located in Beijing, China. The firm was established in early 1998, and designated as a foreign-related IP firm by the CIPO and the TM Office. The firm now has about 120 people, including about 80 patent attorneys and technical specialists, about 8 trademark attorneys, and about 20 patent administrators. Most of our patent attorneys and technical specialists have master or above degree with good foreign language skill and extensive experience in dealing with patent matters, and some of them have experience of studying or working abroad. So far, we have been representing some large multi-national companies, famous universities and research institutes. Ever since its establishment, Jeekai has being insisted in building up and being committed to high international service standards, and has won a very good reputation and appreciations from the clients in its high quality services, responsible attitude, and reliable management as for Chinese IP protection, especially for preparation and prosecution of Chinese patent and trademark applications, and IP litigations. 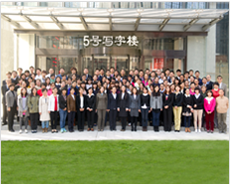 As examples, several persons of the firm received a “honorary certificate” in 2008, respectively for their important contribution to the development of Chinese patent attorney system, several persons are hired as IP judicial appraisers for some years, the firm was elected as one of the ten good patent firms by the Beijing Patent Attorneys Association in 2013 and 2015 respectively, one of our patent attorneys was elected as one of ten good patent attorneys by the Beijing Patent Attorneys Association in 2014, and the firm has been listed as one of the leading Chinese IP firms in the MIP magazines for some years. As always, we will continue to provide our better services to our old and new clients.